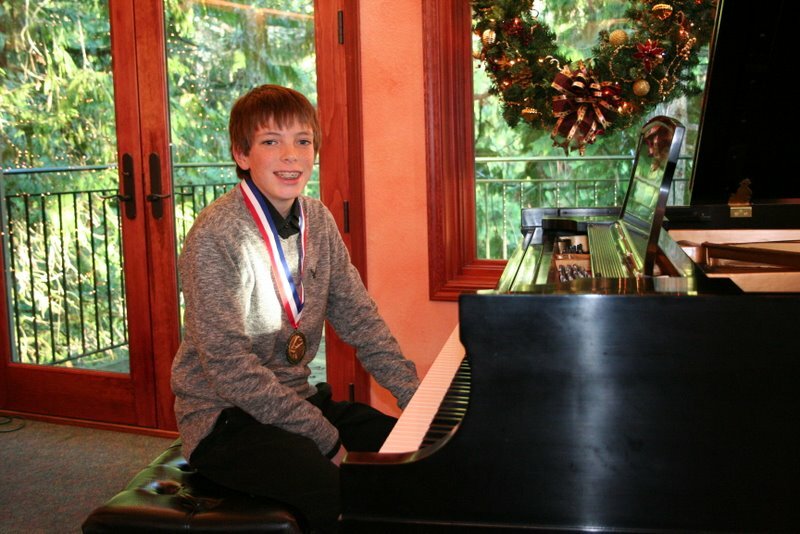 Jamison performed at Joy Novak’s 2010 Holiday Recital this afternoon. Jamison played well, as did all of Joy’s students. It was fun to see the smiles as each student bowed. 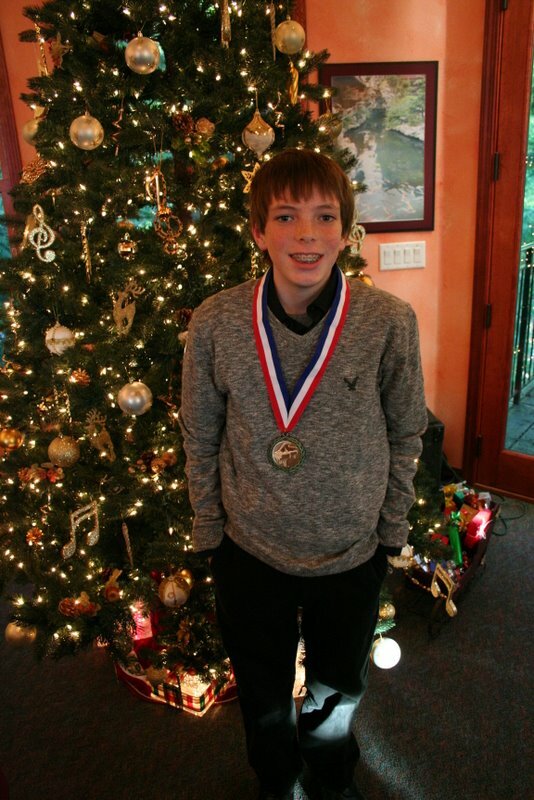 Jamison’s medal signifies successful completion of the OMTA level 6 piano Syllabus. 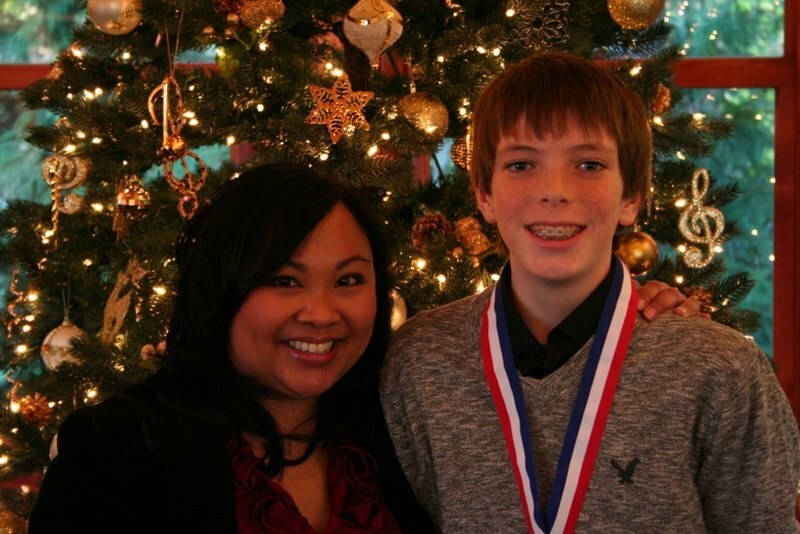 Congratulations Jamison and thank you Joy!